Lorne Clifford, Lakehead's Director of Security Services, presented Amy Kopp, LUSU Food Bank Coordinator, with a cheque for $390 that was raised during the one-day parking ticket amnesty held on Wednesday, Jan. 16. The one-day amnesty allowed students, staff and faculty to pay $6 in Thunder Bay and Orillia and, in exchange, Security wrote off one $25 parking ticket. Student Affairs is pleased to announce that Nancy Cahill has accepted the position of Manager of Student Accessibility Services. Nancy has over six years of experience in student accessibility at Lakehead as the Learning Strategist/Assistive Technologist and has expertise in accessible learning, special education and assistive technology. Nancy also brings a wealth of knowledge from her 26 years working in the education sector. Please join us in welcoming Nancy in her new role. Members of the Lakehead University and broader Thunder Bay and area communities are invited to join a weekly drop-in decolonization reading group at the ReImagining Value Action Lab (RiVAL). Located in room 2002 at the university's PACI building (Law School), the drop-in will be held every Tuesday at 7 pm from January 8 to February 5. No experience necessary. Join us as we read the "The Reconciliation Manifesto: Recovering the Land, Rebuilding the Economy," by Arthur Manuel and Grand Chief Ronald Derrickson and other texts related to decolonization. We will read out loud and together at each meeting, and follow up with a discussion about the colonial history of Canada and the meaning of decolonization. Books and readings are provided, and newcomers and drop-ins are welcome to join at any point. Bus fare and childcare subsidies are available on request. For more information on this and other RiVAL activities, please visit http://rival.lakeheadu.ca. Therapy Dogs from St. John Ambulance will visit students on the main floor of the Chancellor Paterson Library every Tuesday starting Jan. 8, from 5:30 to 6:30 pm. Come meet your new bestie. If you would like to participate in a free French discussion club at Lakehead, please email Dr. Sarah Jacoba at sjacoba@lakeheadu.ca to sign up! Meetings start today (Tuesday, Feb. 5) at 4:00 pm in BB 2003. Any level of French is sufficient to join. At 4:45 pm, we will switch from casual conversation to more intense grammar correction, with the goal of helping those students studying for the DELF/DALF exam. Students and staff are all welcome to arrive as their schedule allows. The Thunder Bay Police Service will conduct Immediate Rapid Deployment (IRD) Training on Tuesday, Feb. 5 in Lakehead's Prettie Residence and on Saturday, Feb. 9 on the fourth floor of the Centennial building. Lakehead University has partnered with AppArmor to give students, faculty and staff a faster way to access resources on campus. The new MobileSafety app includes emergency contacts, a safety toolbox, and other important resources available at the touch of a button. Users can easily access Lakehead's walk-safe program, contact security if needed, and use tools that can help in an emergency. The safety toolbox includes a flashlight, a loud alarm, and the ability to send security a photo. AppArmor custom mobile safety apps improve emergency response in a crisis and make campus security resources more accessible. 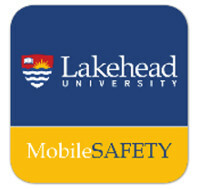 To download the app search for Lakehead Mobile Safety or click here. It is available on all IOS, Android and BlackBerry devices. For more information about AppArmor please visit www.apparmor.com. Please join us for the Lakehead University Career and Summer Job Fair! Take this opportunity to explore career options and connect with new graduate, summer, and co-op job opportunities. All students are welcome. Attention Students: Do you have an awesome prof? Nominations are now open for the 2019 Contribution to Teaching Awards, a student nominated award that recognizes instructors who are outstanding teachers. If you have an instructor who has had an impact on your Lakehead experience, consider nominating them for this award by Friday, Feb. 15. To submit your nomination, see the online submission process on the Teaching Commons web page. Following your nomination, your instructor will be asked to submit a teaching dossier to the Senate Teaching and Learning Committee, describing how they meet the evaluation criteria found here. The selection committee will review nominees for eligibility and their dossiers for evidence of high levels of teaching performance. The recipients of the awards are expected to be announced and acknowledged at Senate in the Fall of 2019. The Faculty of Business Administration and the RBC Work Integrated Learning Program Workshop Series invite you to a workshop called All About Ingenuity with Alyson MacKay and Ryan Moore. Did you know that Lakehead recently opened a business incubator called Ingenuity on campus? Don’t know what a business incubator is? Come and join this session where the manager of Ingenuity takes you on a tour and tells you all about the resources available to help you launch your own business. Information will also be given about a $3,000 grant program available to students to help start their business. Join Student Success, Student Accessibility and Student Health and Wellness for interactive, hands-on workshops to learn both academic and psychological test preparation strategies. All sessions will take place in the Chancellor Paterson Library, room 5002. Transforming to Active Learning: What about the Classrooms? The Learning Spaces and Technology Subcommittee is looking for feedback from faculty and students on classroom design. Specifically, how can we begin to transform some of our classrooms on the Thunder Bay campus to better facilitate active learning? Active-learning classrooms are teaching and learning spaces designed to foster students’ engagement in their own learning process. These rooms are easily identified by their moveable student tables and seating designed to facilitate and promote group work, in-class activities, etc. The Teaching Commons classroom (LI5002) is an example of an active-learning classroom. We are considering transforming some classrooms -- specifically RC 1001, 1002, and 1003. Please join us for lunch to discuss your ideal active-learning classroom. Friday, Feb. 15: 12:00 to 1:30 p.m.
Friday, March 1: 12:30 to 2:00 p.m.
To RSVP, please contact Jan Maki, 807-343-8205 or jmaki2@lakeheadu.ca. If you are interested in learning how to be an activist and ally and engage in political advocacy, then this is the workshop for you! Join Shadiya Aidid and Payton Wilkins in an interactive workshop on using art as activism, and the nuances involved in the quest for justice. Political Advocacy - Where to start? What is environmental racism, and how does it disproportionately affect Black communities? This panel will seek to discuss if there is common ground for activism, and what the next steps look like in tackling this vast issue. Panellists include Dr Ingrid Waldron, Dr Zubairu Wai and Payton Wilkins. Join Dr. Ingrid Waldron for a book signing and presentation on her novel "There's Something In The Water". The novel examines the legacy of environmental racism and its health impacts in Indigenous and Black communities in Canada. Erin Beagle, from Roots to Harvest, will present a talk called Food as a Tool: Roots to Harvest in Thunder Bay. The Office of Research Services will host a workshop on how to effectively create and present an academic poster – a key method of communicating research. Undergraduate students who are currently engaged in research on campus, or those who wish to pursue graduate studies and/or careers in research are invited to attend. This workshop will be held on Monday, Feb. 11 at 12 pm in ATAC 3004. Those students wishing to attend this workshop should contact Dr. Lexi Haslehurst at ahaslehu@lakeheadu.ca to RSVP by Wednesday, Feb. 6. Please include any dietary restrictions in your email. This is a friendly reminder that Canada's Anti-Spam Legislation (CASL), reflected in Lakehead University's Policy on Commercial Electronic Messages, prohibits sending most commercial promotions of goods and services (e.g. the sale of tickets) through Communications Bulletins or other emails without recipients' prior consent and “unsubscribe” options. Exceptions to this rule are promotions relating to the University's core activities of education, research, and scholarship, and to raising funds for a charity registered under the Income Tax Act. CASL is accessible by clicking here, and you may see the Policy by clicking here. If you have any questions, you are welcome to contact Millo Shaw, Lakehead's Director of Risk Management and Access to Information, at 807-343-8518 or mshaw1@lakeheadu.ca. The Office of Aboriginal Initiatives and the Office of Research Services at Lakehead University invite you to a panel discussion titled Two-Eyed Seeing: Bringing Indigenous and Western Technologies Together. This panel discussion is part of Lakehead University's 2019 Research and Innovation Week. The term two-eyed seeing was coined in English by Mi’kmaq Elder Albert Marshall to describe the Mi’kmaq concept Etuaptmumk, which refers to the benefits of bringing more than one perspective into play. Two-eyed seeing usually refers to bringing together Indigenous and Western/mainstream knowledges, worldviews, ways of knowing, technologies, sciences, ecologies, learning methods, etc., especially in research methodologies. This panel of researchers and their community partners will highlight the ways that researchers have worked in partnership with Indigenous communities, individuals and/or organizations to bring together multiple perspectives to make sure that the research they do is relevant to the communities they are working with, that it is reciprocally beneficial for community and research team, and that it has a positive impact. Brunch and refreshments will be served. Please fill in the dietary restrictions portion of the registration in advance if needed. Please click here to RSVP by Tuesday, Feb. 19. NOSM CampMed is accepting applications from students currently in progress with their undergraduate degree for the volunteer positions of Team Lead and Camp and Crime Scene Investigation (CSI) Lead. NOSM CampMed is a week-long, hands-on medical and health sciences summer camp intended for high school students going into grade 10 and 11 in the fall of 2019. The camp is held on both of NOSM’s host University campuses in July 2019: at Laurentian University on July 8 - 12, 2019 and at Lakehead University on July 15 - 19, 2019. To apply as a volunteer, please complete and submit either the English application form or the French application form. The deadline to apply is Thursday, Feb. 28. Think it's time to Graduate? Submit your Intent to Graduate by Thursday, Feb. 28! If you are set to graduate this coming Spring in the Class of 2019 please be sure to submit your Intent to Graduate by Thursday, Feb. 28. This can be done via your myInfo account - Student tab > Graduation & Convocation heading > My Intent to Graduate (Spring 2019). Submitting your intent ensures that you will be assessed for graduation and is one of the last steps before receiving your hard-earned degree! If you have any questions or concerns please visit us in Student Central (UC 1002 in Thunder Bay or Simcoe Hall in Orillia) or reach out to the Chair of your department. Join Student Health and Wellness, Dr. Aislin Mushquash, Clinical Psychologist and Assistant Professor in the Department of Psychology, and PhD students from the Department of Psychology for a four-part workshop series on Dialectical Behaviour Therapy (DBT) skills. Learn skills related to cultivating awareness and being present, managing difficult situations, adapting to or changing difficult emotions, and getting needs met in relationships. The workshop series will occur on Mondays - March 4, 11, 18, and 25 from 12-2 pm at Student Health and Wellness located in the Prettie Residence Building. Space is limited. Please contact Student Health and Wellness at 343-8361 to register.